← I’m from around the Bay, and I throws rocks! L’Anse aux Meadows with a population of 37 residents is a quaint fishing village that has been placed on the map for being the first part of North America to be authenticated as site of first contact for the Europeans, when the Vikings landed more than 1,000 years ago. Each year tens of thousands of tourists flock to this community and they are not disappointed by the historical context of the viking discovery provided by both the World UNESCO Heritage Site L’Anse aux Meadows and the social enterprise, Norstead – A Viking Village and Port of Trade. Last year St. Anthony Basin Resources Inc. (SABRI) partnered with Norstead and the Leif Erikson Foundation to have placed a statue of Leif to commemorate his discovery, there are only four in the world of this type and this will be the last. Additionally, the community is proudly the home to a gourmet restaurant and art gallery and has been for some 20 years! The only of its kind on the tip of the Great Northern Peninsula. The Norseman Restaurant and Gaia Art Gallery (http://www.valhalla-lodge.com/restaurant.htm) is a local treasure. It has been a thriving success due to the entrepreneurial owners desire to provide the best visitor experience possible. Their quality food during lunch and dinner meals have a wonderful presentation. I always enjoy the duck or lamb dishes served with a nice glass of red wine. They have an extensive wine list. 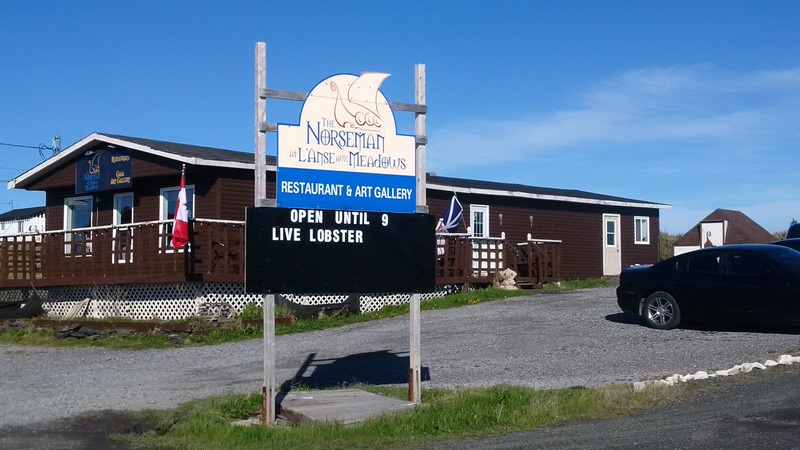 If you enjoy seafood it is locally caught and the lobster, well you will not get fresher than the Norseman. The lobsters are kept in an enclosed crate in the ocean, just feet from the restaurant where you can pick your own with the chef. There is local music playing on many evenings, by the talented Wade Hillier of St. Lunaire-Griquet. I love it when he belts out the tune, “Aunt Martha’s Sheep”, it has to be one of my favourites. The service is extremely friendly, professional and they ensure all your questions about ingredients are answered. Truly a great front line and kitchen staff. The restaurant also supports local artists through their artwork all for sale, which is displayed on the walls, the tea dolls in glass cases and the carvings from antlers on the tables. 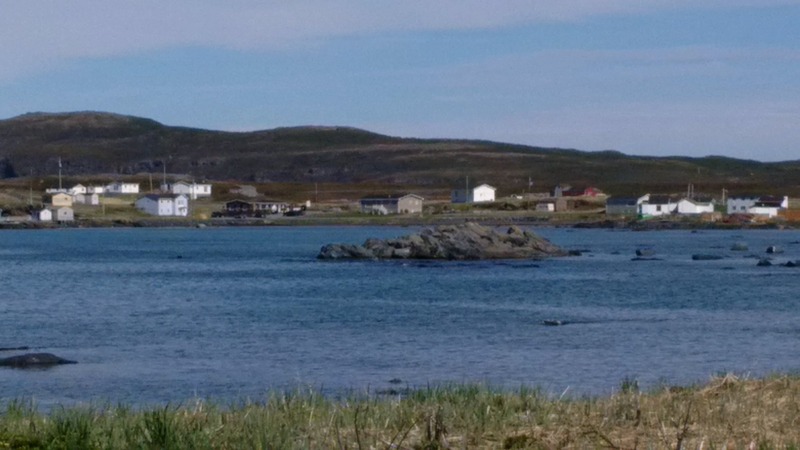 The view as well is picture perfect as you see icebergs around every corner of L’Anse aux Meadows. I would encourage you to experience the wonders of the Norseman in its 20 years of operation! There is much more to say about this business and other initiatives by owner Gina Nordhoff, which I’ll save for future postings. Enjoy all L’Anse aux Meadows has to offer, come stay for a while. Posted on June 30, 2014, in Business, Cuisine, Heritage and tagged Food, gourmet, Iceberg, L'Anse aux Meadows, Newfoundland, nl food, norseman, Restaurant, tradition, Viking. Bookmark the permalink. Leave a comment.